Our current pastor, Rev. 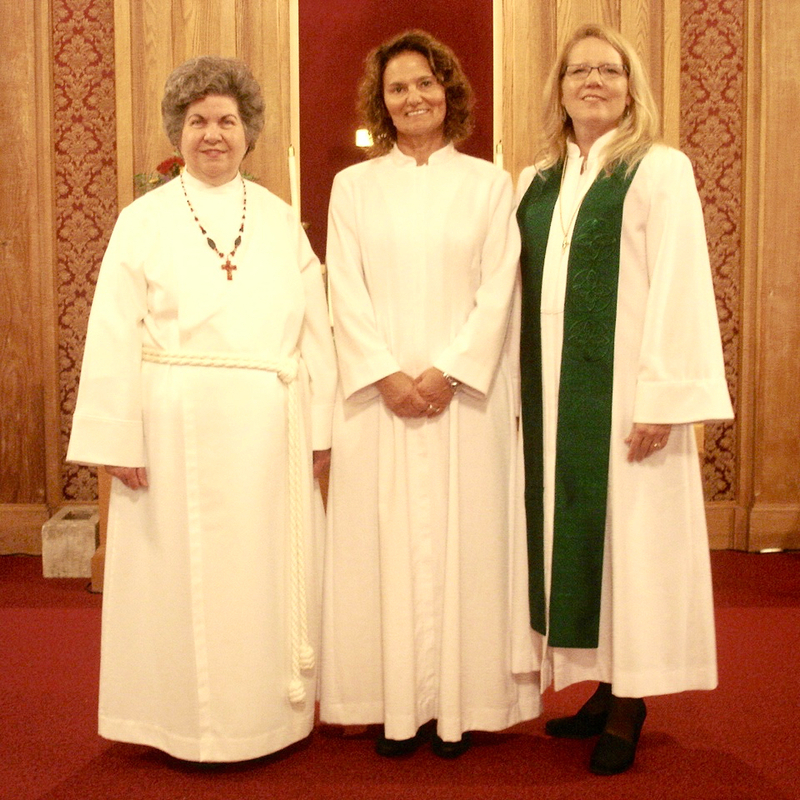 Linda Pevey (center), flanked by her predecessors, Rev. Joan Wolff (left), who served Bethesda from 2004 to 2010, and Rev. Karen Handy (right), who served Bethesda from 2012 to 2015. Bethesda had a great Homecoming and 231st Anniversary service today, in spite of the wind and rain. What a thrill it was to have all three of Bethesda’s woman pastors together in one service – truly an historic occasion! This entry was posted in Bethesda Events, History by admin. Bookmark the permalink.